I really enjoy challenges especially the ones put on by Art Bead Scene as they force me out of my comfort zone so that I work with new colors or techniques. Some of the inspiration art work that they put up really resounds with me and others not to so much. 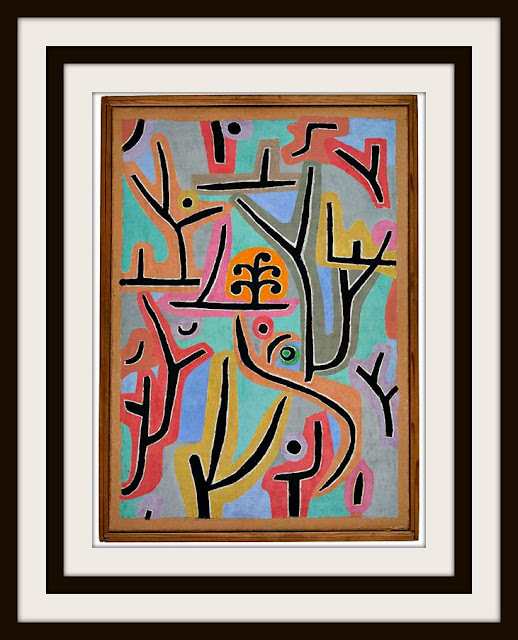 This painting by Paul Klee really rang my bells. I loved all the black lines surrounded by color so that is what I decided to play with. I found this gorgeous lampwork focal Patricia O'Brien. I don't see where she sells online except on Facebook. This focal as the black lines I was looking for which I then highlighted by hanging it from a bail with black waxed linen. The necklace itself consists of two strands of onyx beads and Indonesian lampwork beads made of recycled glass for those pops of color. 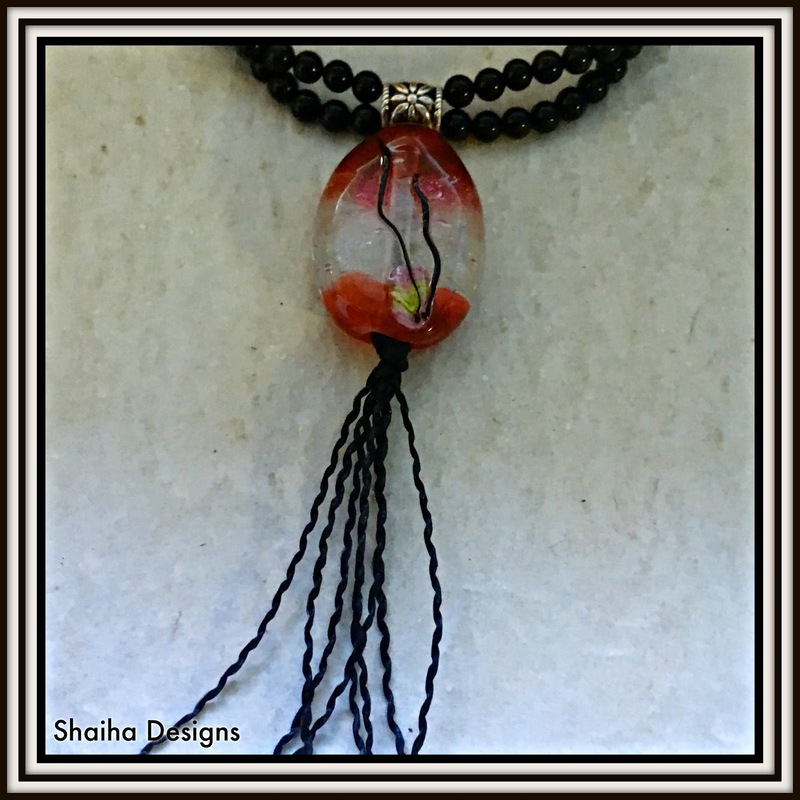 I had a lot of fun designing this necklace and I want to thank Art Bead Scene for hosting these monthly challenges. Wow - spot on! That is a very cool focal bead!!! This is a beautiful necklace! The more pieces I see for the AUG ABS challenge, the more diverse the inspiration! The colors jump right into your face and it's interesting how you used the black lines as your starting point - awesome necklace! Oh, you really did awesome with this challenge! 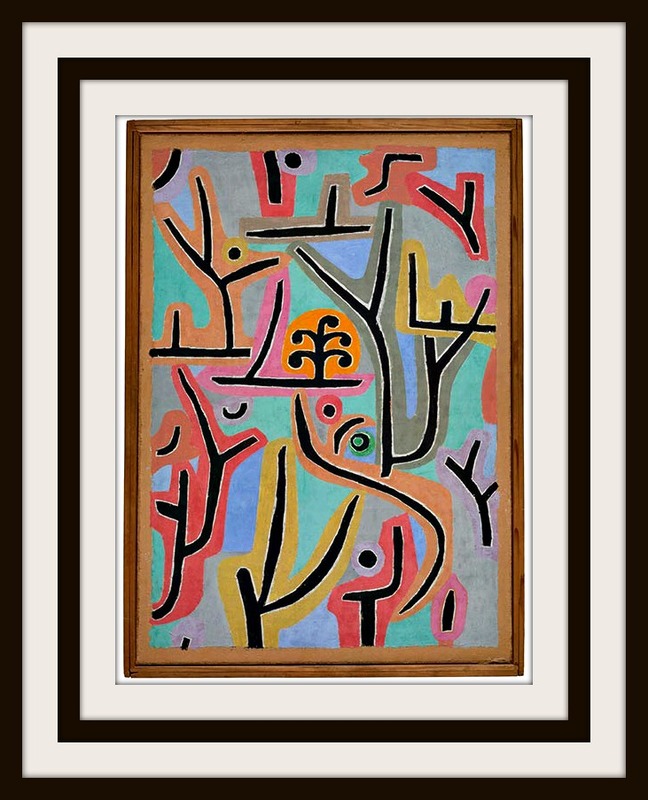 Your piece reflects the inspiration piece so well and is beautiful on its own to boot. Well done!! What a great way to start out, use the strongest element of the artwork that most people would simply choose to avoid, me included. This is a lovely statement necklace. Fun necklace with interesting focal bead! That's some lampwork bead! Grreat choices and great job! This one is perfect for the challenge, great job! I love the double strand of black through the colors! 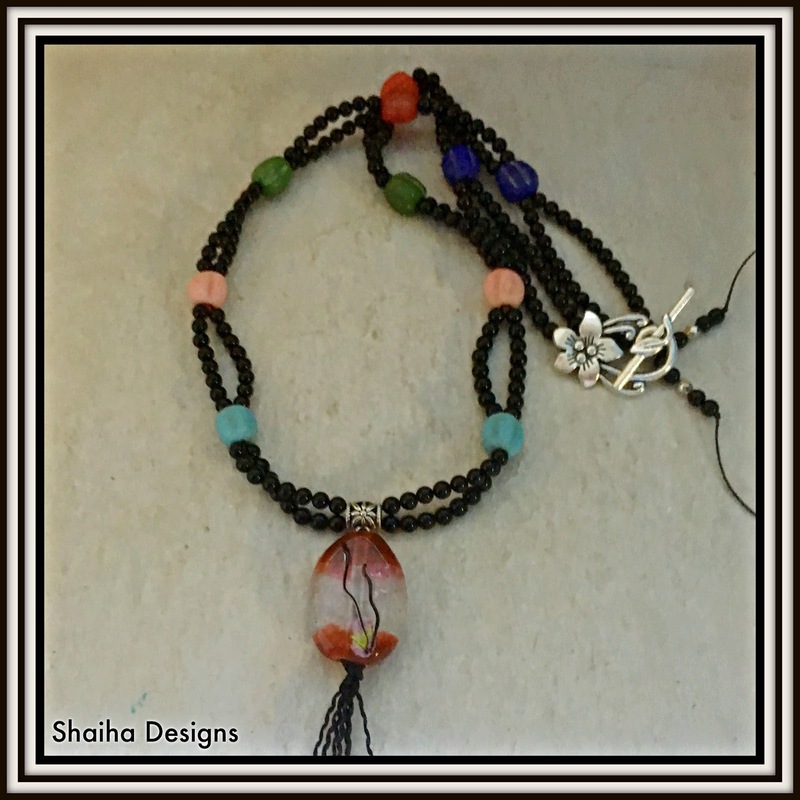 I love how you used the double strands of black beads with the pastel colors from the inspiration piece. Well done!